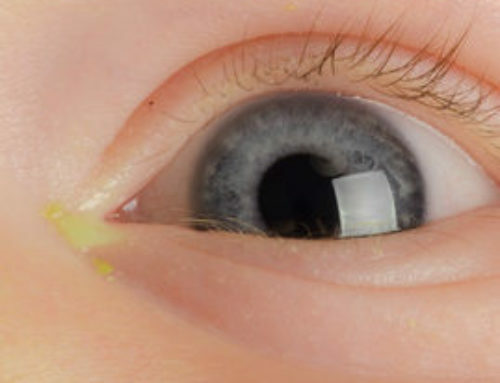 Jaundice is the term used to describe the yellow appearance of the skin and the whites of the eyes (sclera). 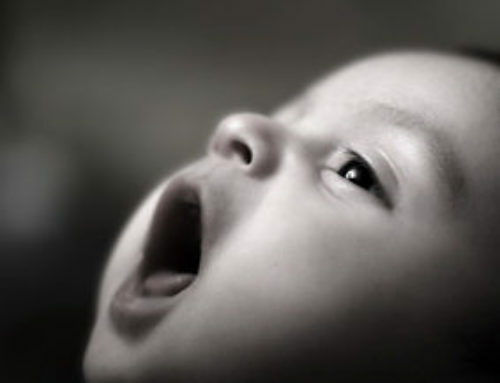 Jaundice in adults is caused by a problem with the liver however, in newborn babies it is a normal (physiological) process which occurs after birth. Mild jaundice is common in the first week of life with most newborn babies, becoming jaundiced two or three days after they have been born (neonatal jaundice). It tends to reach its peak when your baby is around four days old, then gradually disappears by two weeks post birth. On rare occasions, jaundice can become apparent within the first twenty-four hours following birth; this can indicate an underlying health condition. 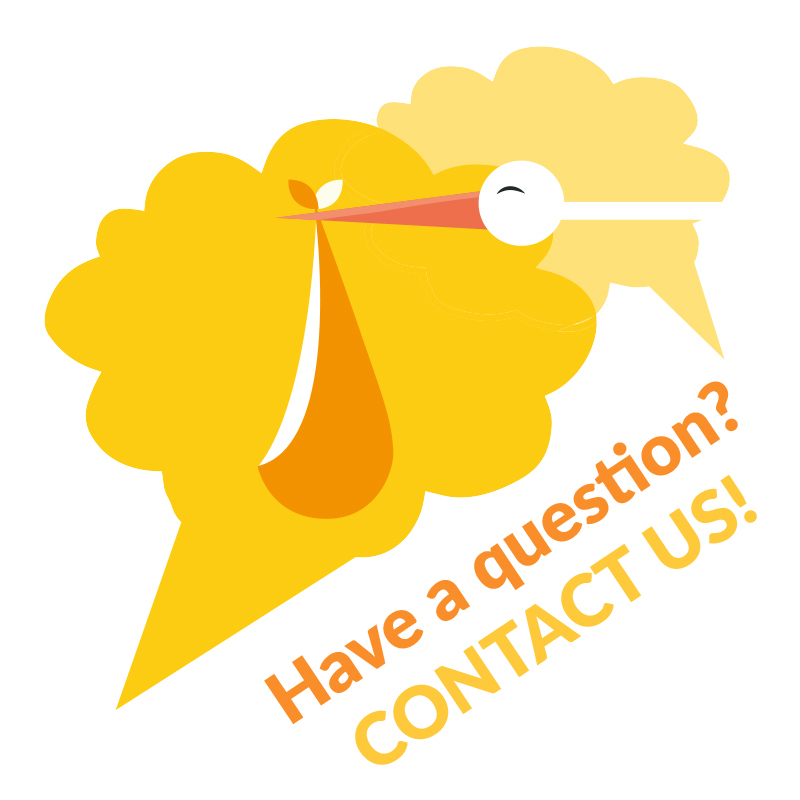 Where there are any concerns that your baby may be showing early signs of jaundice, the midwife will ask a neonatal paediatrician (a doctor specialising in the care of newborn babies) to examine your baby. Where the levels of jaundice are found to have exceeded the accepted normal levels, the maternity ward staff can ensure that your baby receives early and appropriate treatment. This section explains jaundice in the newborn baby and what you should do if your baby’s jaundice doesn’t go away by two weeks of age for babies who are born on or around their due date (at term), or by three weeks for babies who are born early (prematurely). The human body continuously makes new red blood cells and breaks down the old ones. Newborn babies are born with a higher than normal number of red blood cells which have a shorter lifespan. This is because when your baby is inside the uterus (womb) they are not using their lungs, so need an extra number of red blood cells to transport oxygen around their body. However, once your baby has been born and is breathing independently, these extra red blood cells are no longer required. When the red blood cells are broken down, the waste product from this process is called ‘bilirubin’ – a yellow pigment which causes the yellow appearance of the skin. The bilirubin is then filtered from the baby’s bloodstream by the liver, where it is changed into a form that can be excreted from the baby’s body in their faeces (poo) and urine. However, even in babies who are born at term the liver is still immature and cannot cope with the build up of excess bilirubin. Because it can take a few days after their birth before the baby’s liver is able to cope effectively, the bilirubin levels continue to build-up causing jaundice. NB. Around six out of ten newborn babies develop jaundice. Jaundice can be more noticeable if your baby’s birth was assisted using forceps or vacuum extraction (ventouse) and there is some bruising where the ventouse cup or the forceps were applied to your baby’s head. Other factors that exacerbate jaundice are where babies are born prematurely (too early), have become dehydrated as a result of inadequate feeding, or have developed an infection. 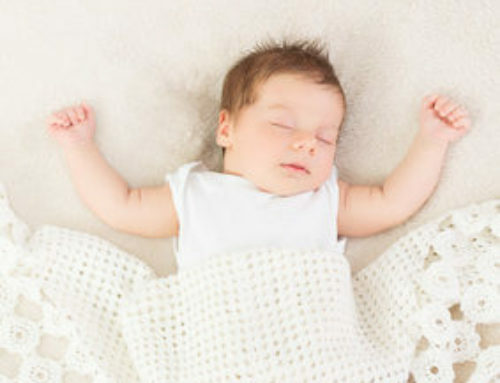 In a room that is well lit by ‘natural’ daylight, apply gentle pressure to your baby’s chest. 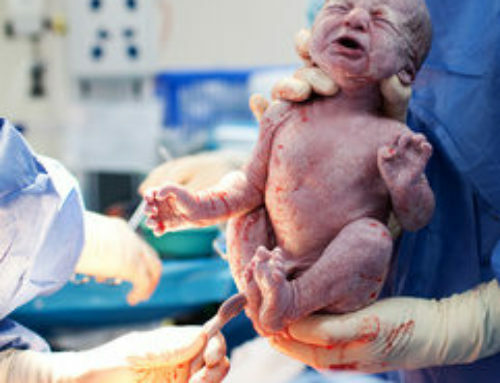 If a yellow tinge to the skin appears as this pressure is released, contact your midwife, health visitor or GP. This test works best for fair-skinned infants; for babies with darker skin tones it is best to check for yellowness in the whites of their eyes. Other signs of jaundice include your baby being very sleepy and reluctant to feed. You may also notice that their urine is dark while their faeces are a pale colour; not the usual bright yellow colour. Can the level of jaundice be measured? If your midwife or doctor is concerned that your baby is looking jaundiced, they will suggest that a simple test is done to measure the bilirubin level. A small blood sample can be taken by pricking your baby’s heel – this is called an ‘SBR’ (Serum Bilirubin) or a ‘bili’ test. The test can identify whether the level of bilirubin in your baby’s blood is getting higher, or whether your baby is already jaundiced. The heel prick causes only fleeting discomfort for your baby – some babies sleep through it while others cry for a short time. However, a reassuring cuddle from mum or dad or a breast/bottle feed will quickly soothe them. Alternatively, some maternity units may use a small light meter to help the midwives and doctors assess the extent of your baby’s jaundice. In the majority of cases, babies do not require any treatment for their jaundice because it will have disappeared by around 10-14 days post birth. However, where the jaundice level becomes too high, there is a concern that the high levels of bilirubin (called bilirubinaemia) could damage your baby’s brain – a smaller number of babies will require treatment to prevent this. 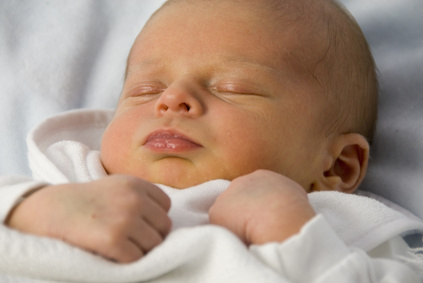 There are a number of effective methods of treating neonatal jaundice. The treatment most commonly used is ‘phototherapy’ and this is started before any harmful level is reached. 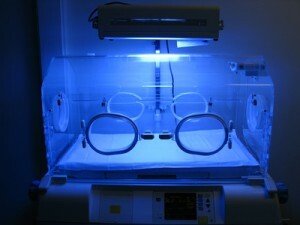 Phototherapy involves your baby being placed naked in a cot or incubator to maximise skin exposure; this is then placed under a special blue (fluorescent-type) light. This is rather like being on a sun-bed which breaks down the bilirubin so that it can be excreted in their urine. Your baby does not need to be separated from you and the phototherapy unit can be placed over your baby’s cot/incubator at your bedside. It is important that your baby’s eyes are protected from the light, so the midwife will put special eye pads onto your baby and will also monitor them carefully to make sure they are adequately hydrated (not dry) and not getting too hot. You will also be encouraged to feed your baby frequently, so that they produce plenty of urine which helps to remove the excess bilirubin from their body. Some maternity units prefer to use biliblankets; these are portable phototherapy light pads that are placed directly against your baby’s skin, so the light can break down the bilirubin pigment. Unlike nursing your baby under a phototherapy unit, biliblankets enable you to breast or bottle feed your baby without having to remove them from the phototherapy. Some units use over the cot/incubator phototherapy units and bili-blankets in combination – this is called ‘Double phototherapy’. Phototherapy can usually be discontinued within a few days. Sometimes, where the level of bilirubin is significantly high, it may be more appropriate for your baby to be given a special type of blood transfusion – called an exchange transfusion. This is where some of your baby’s blood is taken and replaced with donor blood. Where this is the case, the procedure is undertaken on a Neonatal Unit (NNU) where your baby can be closely monitored throughout. Where you are at home and your baby’s jaundice is only mild, your midwife may suggest that you place your baby’s Moses basket/pram in natural sunlight, which works in the same way. However, it is very important that you ensure your baby does not become overheated or sunburnt. Are there any complications of jaundice? Where the levels of bilirubin become excessively high it can get deposited in the baby’s body tissues. The baby’s brain is particularly vulnerable to this and the build up of excessively high levels of birubin can cause serious and permanent damage. 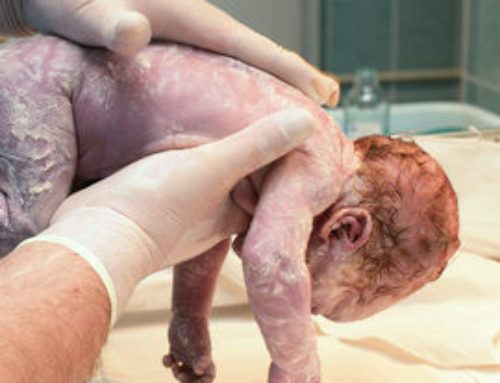 This condition is known as ‘Kernicterus’ but, thankfully, is very rare occurring in less than one in every 100,000 births. In fact, kernicterus only tends to be a problem in those countries where there is limited access to neonatal medical care. Why do some babies remain jaundiced for longer? f). 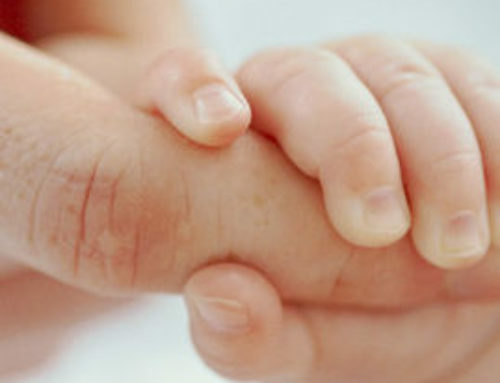 Jaundice can indicate that your baby may have a problem with their liver. You can check your baby’s stools and urine. A newborn baby’s urine should be colourless; however, if it is persistently dark, regardless of whether or not your baby looks jaundiced, you should inform your midwife, health visitor or GP. Similarly, babies stools are described as being green/daffodil yellow (where breastfed) and green/English mustard yellow (where bottle fed). However, if your baby’s stools are a pale creamy/chalky colour; inform your midwife, health visitor or GP. If your baby is jaundiced for longer than two weeks, you should inform your health visitor or GP and ask them to do a simple test to see if the jaundice is ordinary baby jaundice, or whether it needs further investigation. In a very small number of cases, jaundice can be a sign that there is a problem with the baby’s liver and it is important to get the baby checked. Abd Hamid IJ, M Iyen MI, Ibrahim NR et al (2013). Randomised controlled trial of single phototherapy with reflecting curtains versus double phototherapy in term newborns with hyperbilirubinaemia. Journal of Paediatrics and Child Health 49(5):375-379. Alkalay AL, Bresee CJ, Simmons CF (2010). Decreased neonatal jaundice readmission rate after implementing hyperbilirubinemia guidelines and universal screening for bilirubin. Clinical Pediatrics 49(9):830-833. Atkinson M, Budge H (2011). Review of the NICE guidance on neonatal jaundice. Archives of Disease in Childhood: Education and Practice 96(4):136-140. Brethauer M, Carey L (2010). Maternal experience with neonatal jaundice. MCN – American Journal of Maternal Child Nursing 35(1):8-14.
de Almeida MFB, Draque CM (2008). Neonatal Jaundice and Breastfeeding. NeoReviews 8(7):282-288. Ford KL (2010). Detecting neonatal jaundice. Community Practitioner 83(8):40-42. Jardine LA, Woodgate P (2013). Neonatal jaundice. Clinical Evidence. June 2013. Johns A (2011). Implications for practice: NICE neonatal jaundice guideline. Journal of Neonatal Nursing 17(1):20-21. Johnson PGB (1994). Vulliamy’s the newborn child. 7th edition. Edinburgh: Churchill Livingstone. 176 pages. Manning D, Ives NK (2012). What’s new in neonatal jaundice? Infant 8(5):137-141. Marchant S (2010). 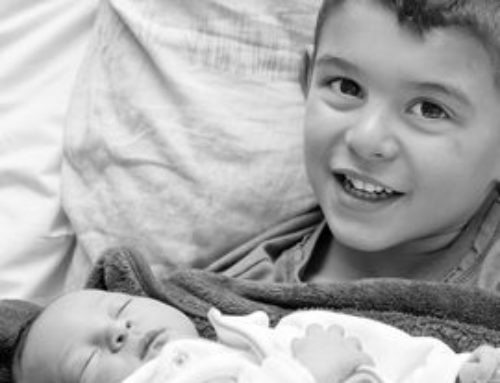 State of the Evidence: Midwifery care & the jaundiced baby – part 2. Essentially MIDIRS 1(3):39-42. McGillivray A, Evans N (2012). Severe neonatal jaundice: Is it a rare event in Australia? Journal of Paediatrics and Child Health 48(9):801-807. National Collaborating Centre for Women’s and Children’s Health (2010). Neonatal jaundice. London: RCOG Press. 517 pages. Olah J, Toth-Molnar E, Kemeny L et al (2013). 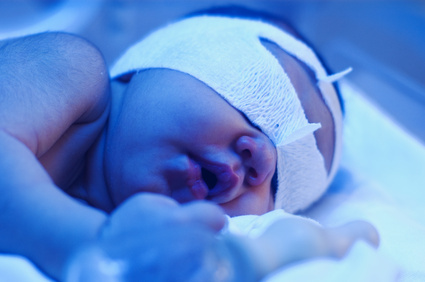 Long-term hazards of neonatal blue-light phototherapy. 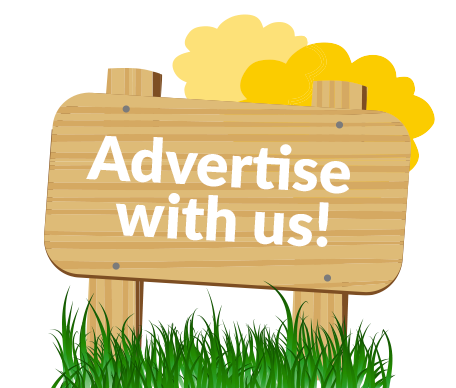 British Journal of Dermatology 169(2):243-249. Petty J (2010). Research commentary: maternal experience with neonatal jaundice. Journal of Neonatal Nursing 16(3):100-101. SamraNM, El Taweel A, Cadwell K (2012). The effect of kangaroo mother care on the duration of phototherapy of infants re-admitted for neonatal jaundice. 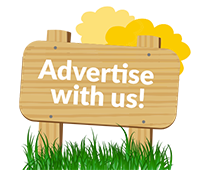 Journal of Maternal-Fetal and Neonatal Medicine 25(8):1354-1357. Shortland DB, Hussey M, Chowdhury AD (2008). Understanding neonatal jaundice: UK practice and international profile. Journal of the Royal Society of Health 128(4):202-206. Soldi A, Tonetto P, Varalda A et al (2011). Journal of Maternal-Fetal and Neonatal Medicine 24, suppl 1:85-87. Stokowski LA (2011). Fundamentals of phototherapy for neonatal jaundice. Advances in Neonatal Care 11(5S):S10-S21. Tayman C, Tatli MM, Aydemir S et al (2010). Overhead is superior to underneath light-emitting diode phototherapy in the treatment of neonatal jaundice: A comparative study. Journal of Paediatrics and Child Health 46(5):234-237. Xiong T, Qu Y, Cambier S et al (2011). The side effects of phototherapy for neonatal jaundice: what do we know? What should we do? European Journal of Pediatrics 170(10):1247-1255.